• Install applications and configure POS machines. • Perform quality checks on POS machines and ensure they are working properly before delivery. • Organise delivery of POS machines and Member cards to agents in a timely manner. • Send POS machines for repairs and check quality of repaired POS machines. • Keep track of stock balances of POS machines, SIM cards and Member cards. 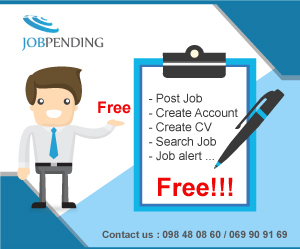 • Provide technical support to resolve transactional issues and POS machine errors. • Provide daily, weekly and monthly reports. • Bachelor in Computer Science or related IT field. • Experience working in an IT role. • Good in spoken and written English. • Fast learner, creative thinker, problems solver. • Good integrity, positive attitude, helpful, high commitment, competence and motivation. • Willing to learn new technologies.